Theres a new season starting soon, so of course an announcement is imminent thats how it always goes. I wasn't sure, but since they're calling her a "special friend" I would guess yes! Really hope josiah is courting he seems such a lovely young man & has always been one of my favourite Duggars. Really hope things work out for him this time he deserves happiness. I really hope modish is courting as he is a lovely young man & has always been one of my favourite Duggars. Hope everything works out for him this time with his "special friend" he deserves lots of happiness. Scream sermon? What is that? Why would they need to scream at the people in the audience? Perhaps it is an Australian term that we just don’t understand or it could be a typo. could be typo,that happens a lot with some computers,tablets,etc,mine was bad about doing that till i got fed up and changed some settings. Josiah's special friend, huh? Sounds like there's another courtship right around the corner! They look like they're have so much fun! I didn't know Josiah had a special friend are there any pics of them together by chance Lily and Ellie? What is a scream sermon?? I don't know. Maybe it was a typo in the article. Can't even find this term in Google. All there seems to be on YouTube is some strange recorded sermon that is acted out by mimes on stage while the soundtrack plays. Why?? Jim Bob gave 'scream sermons??? What is a "scream sermon"? Can I ask what a 'scream sermon' is? I'm guessing that they were encouraging parents to talk quietly to their children when they want to be heard and not scream at them?? Anyone else? Probably just a big typo that was allowed to post. Haha that was my 1st comment and next was gonna be what is a scream sermon!! Lily and Ellie, are you sure that "scream sermon" is really what the reader meant?? I can't see either Jim Bob or Michelle delivering that kind of a speech (or sermon). What on earth are "scream" sermons? Does this mean Josiah is courting? Awesome!!! What is a scream sermon? Maybe it's a IBLP thingy? I've never heard of it before. Guys, just look it up online. Its not hard. No need to keep asking the same question over and over. Anon @ 6:20 People who post here do not converse with each other before posting so lots of people who are thinking the same thing will pose the same question. The fault lies with the admin for allowing the same question through over and over again, oh and people have googled it but no results come up! I looked it up, couldn't find what it means? Just don'nt say "scream sermon" without any explantion. Their world is crazy without all of this. Wow! Josiah has a special friend! And it's not Marjorie (his former girlfriend). I wonder if Lauren is Kendra's sister. Maybe another courtship! Not Kendra’s sister. Wait till they tell you themselves, as I’m not giving out her last name. Yeah, I was just thinking that it would be so cool if this Lauren was Kendra`s sister!! I just googled "scream sermon" and didn't get any help. Strange term. I think what they mean by screen serving is he was yelling or speaking loudly while he was preaching. It's not uncommon for certain religious groups which is usually Baptist for the pastor's the speakers to be yelling or speaking very loudly well preaching. Is Laura along to watch the kids while Jim Bob and Michelle are speaking (and "screaming" haha)? Doesn't she have strong ties to IBLP? Laura is often in pictures, even in the episodes. I'm guessing she is getting close to someone in the family. Maybe a courtship with John David ? I doubt they'll have a "courtship". If John David and Laura were interested in each other romantically that would have happened years ago. Laura's too old for the Duggar boys. Lura is just there to help with the kids, come on! Laura is the kids' tutor. She help wight their school and stuff. When your homeschooling 8 kids and doing speaking events, it comes in handy! Yes. Like the housekeeper on the Brady Bunch who went on vacation with the family to cook for them when they went camping. The housekeeper who had a boyfriend who would never marry her? 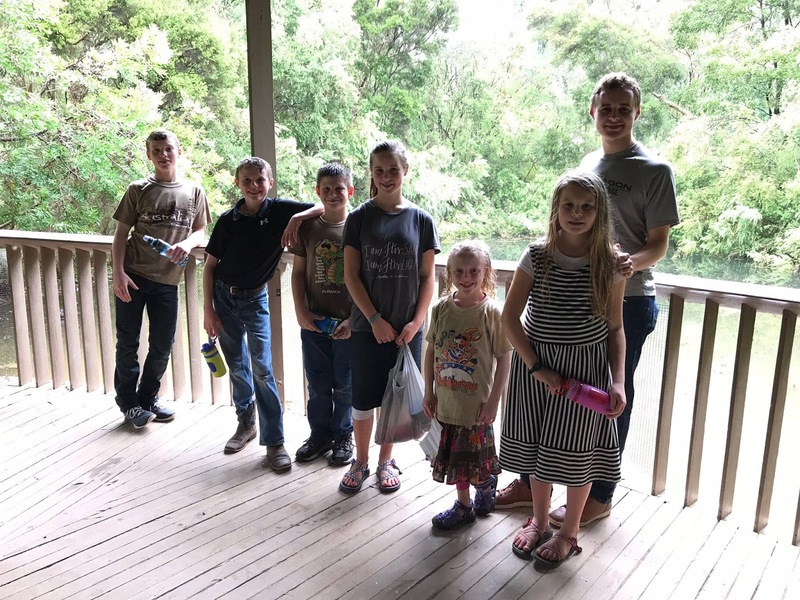 The Duggars never stated that Laura was the kids tutor people assumed that because she was living with them for a while. She moved out before xmas, not sure what she is doing now. She did at one time work for the IBLP. If you think you have to scream at your audience then you're not a very good public speaker. Whoever wrote that didnt do a very good job. Im Australian and met The Duggara on the saturday. But i didnt make it to the weeks proceedings. Ive known IBLP'ers most of my adult life and been to most of their seminars and not one of them screamed or even talked loudly during a sermon or speech. And i have never heard of a 'scream sermon'and if i was ever caught up in one unexpectedly, id walk out. Its highly disrespectful not just to the word of God, but to those listening to you and there is never any need for it. And if Jimbob and Michelle didnt scream at their kids, why on earth would they do it to complete strangers when they are supposed to be representing Christ? Either the author needs to explain themselves more clearly or the post should be deleted. As it misrepresents who the Duggars are. And yes, i did google it. It was as clear as mud. Ellie or Lily, could you clarify? That would make more sense. Jimbob did promote Embassy Media alot. Just like it did with 'its' on my post, lol! It's a "streamed sermon", not "a scream sermon"
Thanks anon. A simple answer that makes sense. Per the article above, the person who attended the event told Ellie and Lily it was a "scream sermon."